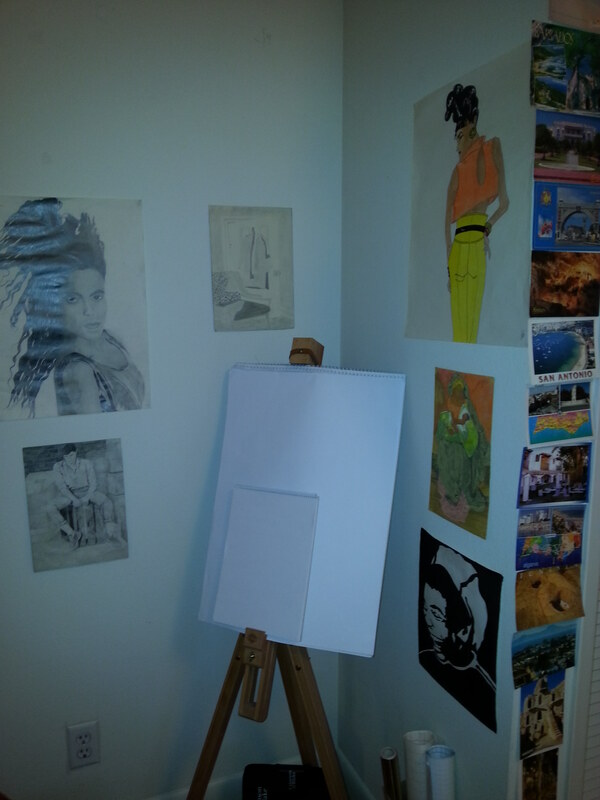 This blank page of my art books, are also like my new blog. It’s a blank canvas where anything can happen, anything can take shape. I have some of my other art work on display. I love looking at my art work and it foremost reminds me of what I can do when I really get stuck into my projects. Being totally absorbed in art work which takes you away from everything is truly a great feeling.